Oakley have confirmed the sale of a 7 acre brown field, mixed-use development site on the edge of Lewes. 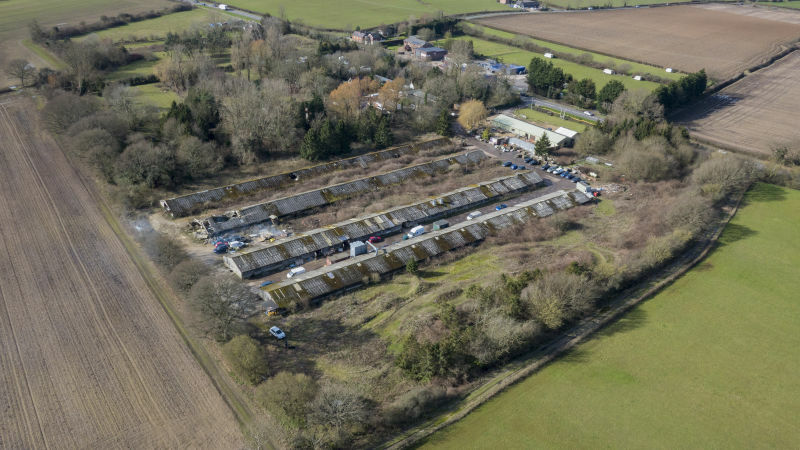 Acting upon behalf of private vendors, Oakley are pleased to announce the sale of the 7.25 acre site, known as Averys Nursery (Sussex Grange) located on the Uckfield Road A26 midway between Lewes and Uckfield. The site was formerly used as a poultry farm which ceased in 2002 and has been in temporary occupation by various tenants ever since. Most buildings on site are in a dilapidated condition, particularly the former chicken sheds and a residential bungalow. Oakley Commercial advised their clients to market the site by way of informal tender, with a guide price of £1.25 million. The site was therefore marketed to potential occupiers, developers and investors and drew a significant amount of interest from both commercial and residential developers together with occupiers. The site has been sold upon an unconditional basis for a figure in excess of the guide price and, thus, is another highly successful sale conducted by Oakley on behalf of their clients. The site has been sold to Crowborough based Cross Stone Development who intend to carry out a mixed used development of the site, with initial discussions with the Parish and Local Council having commenced. Steven Harvey, Commercial Director at Oakley, commented ‘The sale of the site drew considerable interest from a range of developers, the majority of whom were interested in the site for residential development. This is a challenging site, as it is in the neighbourhood plan for Employment use, but finding a viable use for the site on that basis will be difficult, as both office and industrial development in that area are an economic challenge, with the market values and site conditions. However, it’s refreshing to see that Cross Stone are approaching the site with a view to creating a mixed use scheme that will potentially offer both employment and residential uses, there initial plans, due to be unveiled publicly shortly look very exciting’.